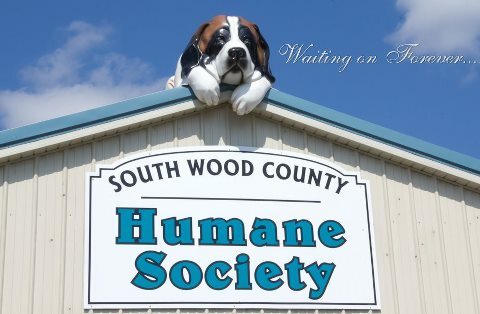 Since the early 1970s South Wood County Humane Society has played an integral part of meeting the needs of the area’s animal population. Taking in stray and surrendered companion animals and working to find them new homes as well as overseeing animals care needs while they are at shelter are some of the many services provided to the residents in our area. Over the years, the number of animals requiring our help has dramatically increased. Over 1,000 stray and unwanted dogs, cats and small animals come through our doors each year. The Humane Society was originally located on Pepper Ave in Wisconsin Rapids. In 2011, we purchased a new facility thanks to the generosity of donors and grantmakers who supported our capital campaign. The new building has three times the square footage, separate housing for adoptable, stray, aggressive and quarantined pets, a nursery for new feline moms and babies and a medical room for spay and neuter surgery. In additional the Helen Mead Educational Center located on our property serves as a meeting space and a classroom for pet education programs. We would love to share our facility with you and show you many of the updates and recent improvements.